Looks great. I was thinking about replacing the grill in my Lariat too. What did you do with your front mount camera? Nikely done, I really like the grill with that color. Thanks, I drilled a hole in the bottom middle and placed the camera with glue and stabled it with some metal bars, wasn't too hard it works well too. But one problem I ran into was our trucks have a water injection for the nosel beside the camera to cleanse the lens, I removed it and have the hose just hanging inside in between the outer grill and the inner auto ducts so everytime I squirt on the windshield it drips some water through the grill. Other than that its pretty! 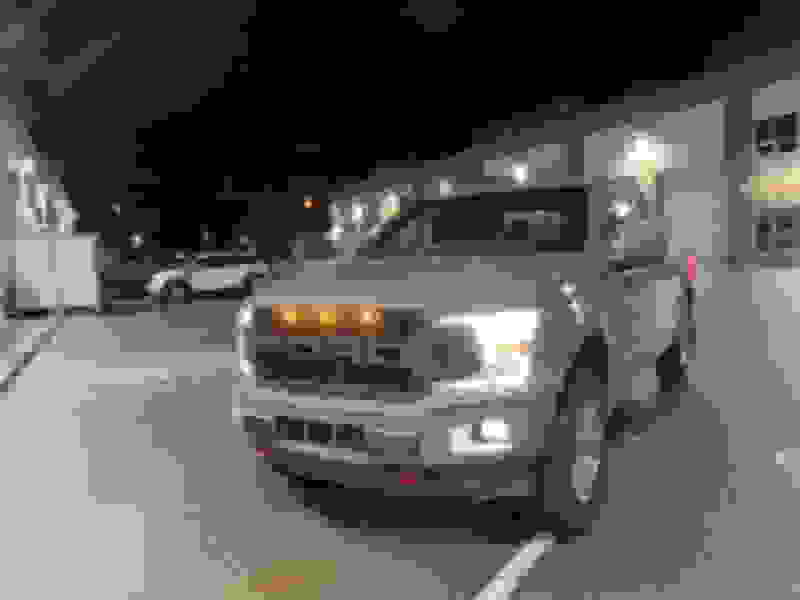 Nice truck. What did you do with your OEM grill? Nice looking truck. Do you have any pics showing exactly how you mounted the front camera? 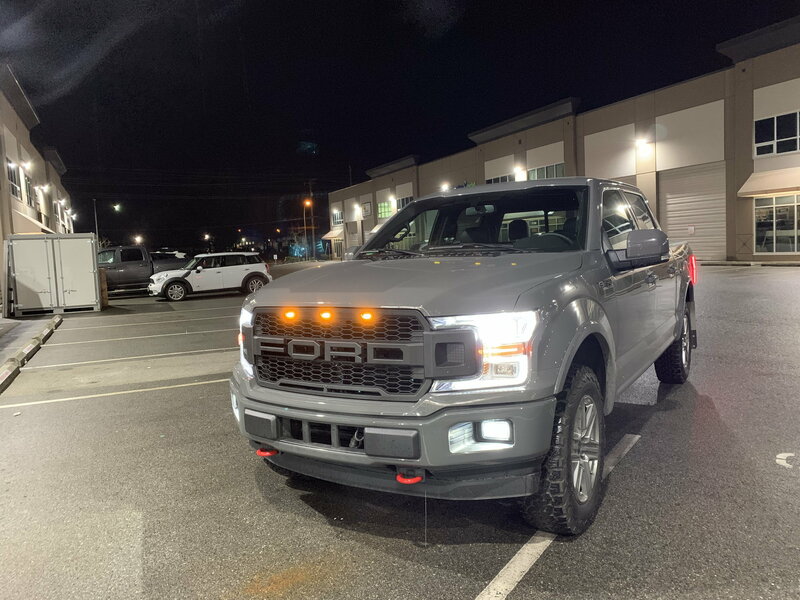 I'm currently working on installing an STX grille with Raptor letters and have been dwelling over how to reinstall the front camera as well as the lens cleaner.